Sjogren syndrome. EBSCO DynaMed Plus website. Available at: http://www.dynamed.com/topics/dmp~AN~T116074/Sjogren-syndrome . Updated August 15, 2017. Accessed December 21, 2017. 7/7/2014 DynaMed Plus Systematic Literature Surveillance http://www.dynamed.com/topics/dmp~AN~T116074/Sjogren-syndrome : Liang Y, Yang Z, et al. Primary Sjogren's syndrome and malignancy risk: a systematic review and meta-analysis. Ann Rheum Dis. 2014 Jun;73(6):1151-1156. 11/9/2015 DynaMed Plus Systematic Literature Surveillance http://www.dynamed.com/topics/dmp~AN~T116074/Sjogren-syndrome : Kuo CF, Grainge MJ, Valdes AM, et al. Familial aggregation of systemic lupus erythematosus and coaggregation of autoimmune diseases in affected families. JAMA Intern Med. 2015;175(9):1518-1526. 2/22/2017 DynaMed Plus Systematic Literature Surveillance http://www.dynamed.com/topics/dmp~AN~T116074/Sjogren-syndrome : Luciano N, Baldini, Tarantini G, et al. 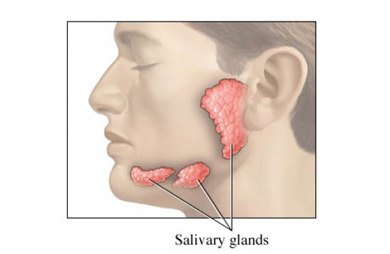 Ultrasonography of major salivary glands: a highly specific tool for distinguishing primary Sjögren's syndrome from undifferentiated connective tissue diseases. Rheumatology (Oxford). 2015;54(12):2198-2204.